Northern elders, under the aegis of the Northern Elders Initiative, led by Major General Paul Tarfa (Rtd) and the former governor of Sokoto State, Aliyu Wamakko, have endorsed President Muhammadu Buhari for a second term. The elders under the initiative distanced themselves from the endorsement of Atiku Abubakar by the Professor Ango Abdullahi-led Northern Elders Forum last week. Tarfa said, “After a long fruitful consultation with our members, from all parts of the North, we have unanimously decided to endorse President Muhammadu Buhari, the candidate of the All Progressives Congress as our choice in the forthcoming election. 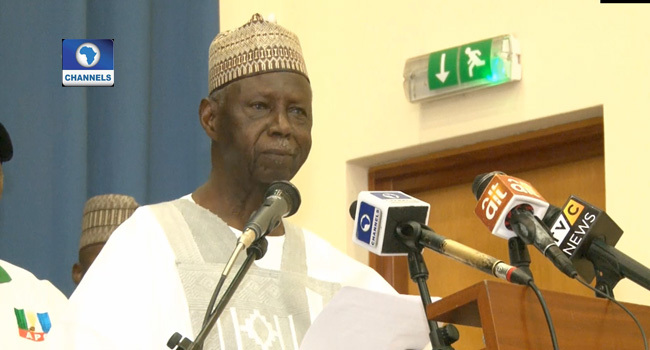 Both members of the Northern Elders Forum and the Northern Elders Initiative belong to the Arewa Consultative Forum, which is a political and cultural association of Northers Elders formed in 2000.